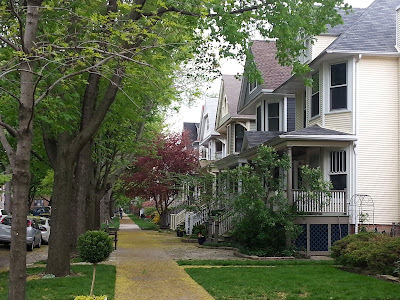 The Chicago Real Estate Local: North Center homes growing like weeds in an alley! North Center homes growing like weeds in an alley! You know your neighborhood is hot when houses spring up in peculiar places. Every so often there is a unique house built among the many nice - dare I say vanilla - new construction homes around the North Side. 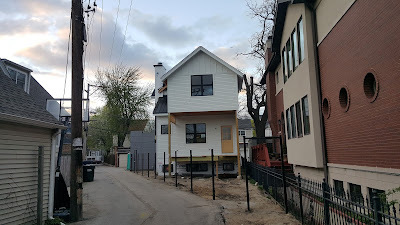 This little ditty near Pensacola and Lincoln Ave above is a good reminder to check in on North Center single family homes this year. 62 North Center homes closed in the first four months of 2017. The median sales price for a closed house is a measly $1,100,000 (that gets you a house in an alley... j/k). Over the same period in 2016, 53 homes had closed with a median price about the same at $1,150,000. 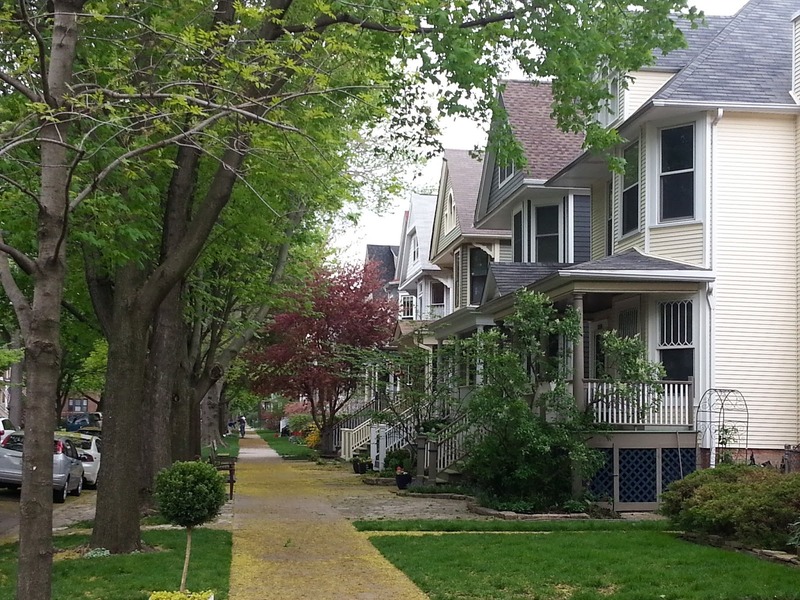 Looking back at 2012 only 25 single family homes sold with a median price of about $680,000. Like half the houses and sales price only five years ago. As the saying goes "hindsight is... making me depressed!" or something like that. But hey! There is plenty of inventory at the moment. About 111 homes are listed for sale in North Center at the time of this writing so let's get shopping. Median asking price for a house is about $1.2M and I know there is a deal in there somewhere.